The groundbreaking BMW X7 combines innovative design and inspiring presence. Be the first to experience this state of the art Luxury SUV. 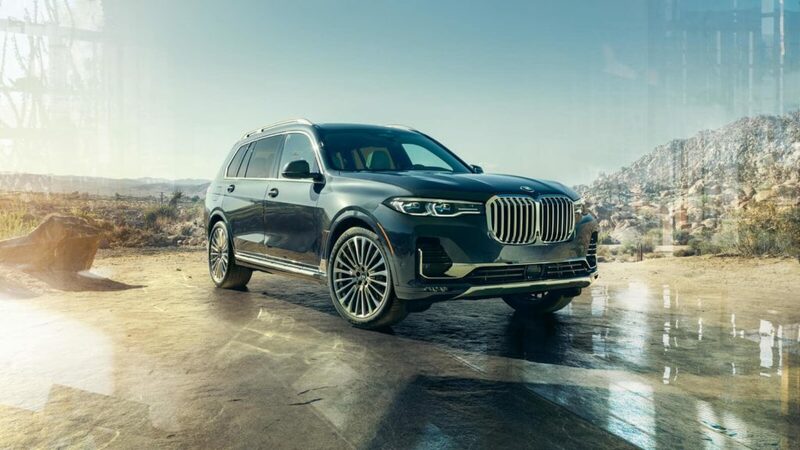 The culmination of comfort, luxury, and powerful living is embodied in the First-Ever BMW X7 – the biggest BMW ever built. There’s plenty of room for all in this spacious SAV. Enjoy seating for seven with second-row bench seats as standard, or opt for the optional six-seater configuration with all-electric Captain’s Chairs. Comfort extends beyond the cabin of the First-Ever BMW X7. Standard two-axle air suspension provides incredible driving comfort; the adjustable height allows for easier entry and loading. Buy and import BMW X7 to Kenya from Japan. We are now importing year 2012, 2013, 2014, 2015, 2016, 2017, 2018, and 2019 BMW X7 to Kenya. Compare BMW X7 prices, specifications and get a six month warranty on all cars imported to Kenya through us.